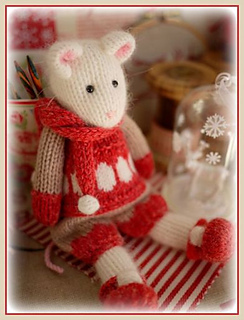 Scandinavian inspired mice with removable clothes. 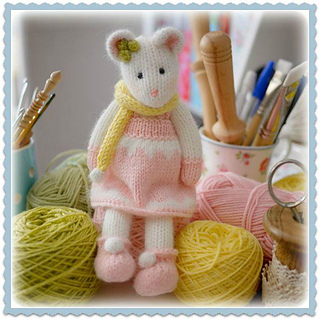 This pattern has been great fun to create but they are decorative items and there is some sewing required. This is a 14 page PDF pattern with lots of photographs, colour charts and tips to help along the way. Worked on smaller needles than stated on ball band to avoid holes when stuffed but actual tension and details to help if substituting yarns are all included. 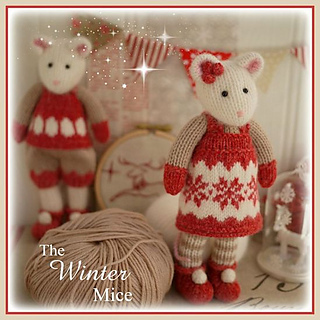 Any of the yarns used for bodies in the previous Mice patterns could also be used here. 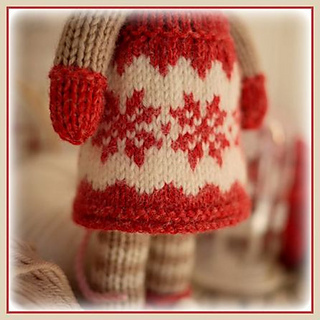 The tunic and pinafore patterns are completely circular so if you minus the edge stitches marked on the chart you may like to try creating them in the round if you are used to converting patterns. 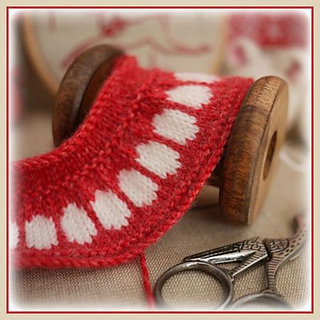 Once the 2 colours are in use you can work continuously without adding/fastening off yarns and the floats are short. 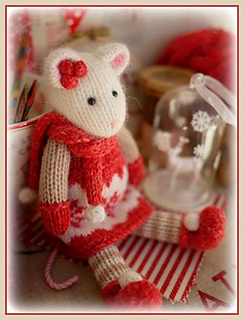 The little peach mouse uses only 2 balls of yarn plus oddments of DK for scarf and berries. You are welcome to contact me at any time.